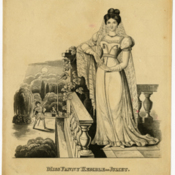 Fanny Kemble was born into a theatrical family; her mother was a famed actress and her father was the manager of the Covent Garden Theatre in London. Kemble established a reputation as one of the greatest actresses of her time in England and in America. These items from the Fanny Kemble Playbill Collection document Kemble’s early years on the English stage. 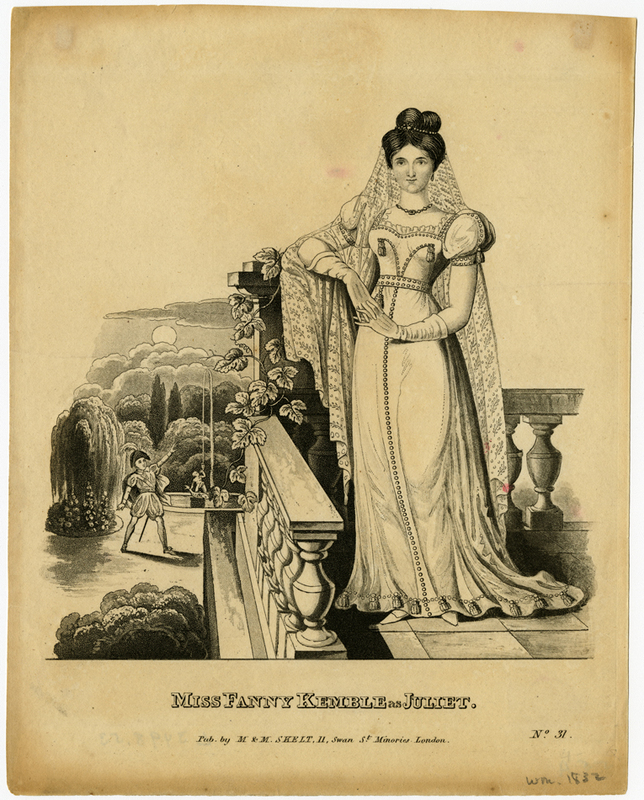 “Miss Fanny Kemble as Juliet,” UM Libraries Digital Exhibits, accessed April 22, 2019, http://scholar.library.miami.edu/digital/items/show/476.